All SuperStix Surfboards are designed to work with our included custom H.G.D. fin template, which is available in Future, F.C.S. and Glass-on. Standard glassing includes a polyester foam blank glassed with EPS epoxy resin. 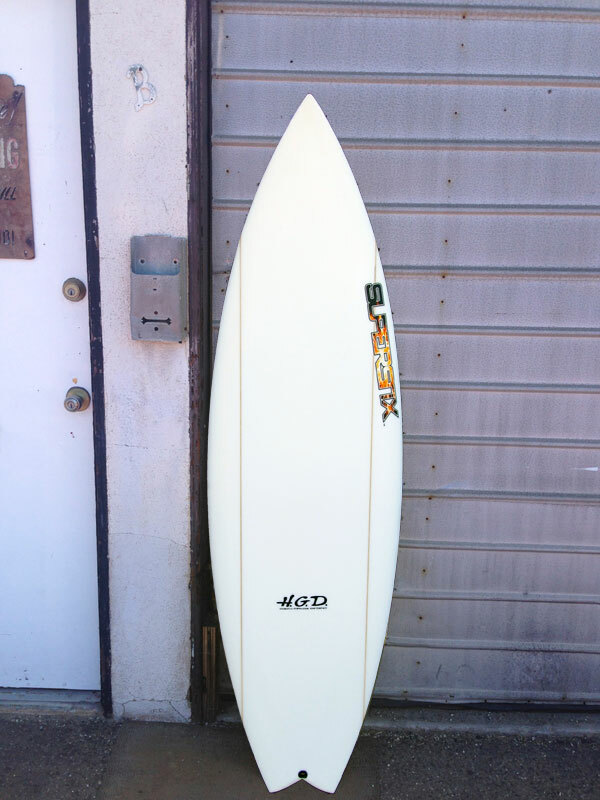 All boards include carbon fiber strips on the tail for additional durability. Glassing options include EPS epoxy foam and glassing and carbon strips down center for an additional charge.